An issue I encountered when I first received my iPhone was the inability to stream my fairly well-organised music and video collection direct to my new device. I don’t use iTunes other than on my iPhone for the odd podcast, mainly because I’m primarily a Linux user (though there are a handful of Windows PCs scattered around the house). Unfortunately very little exists to stream via Linux to iOS, so instead I thought I would try Air Playit for Windows and Mac OS X. 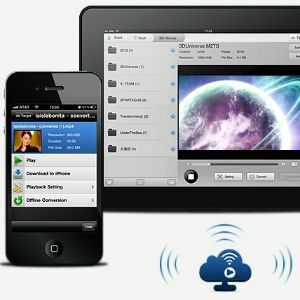 Developed by Digiarty Software, Air Playit is both a server (to be installed on your PC) and a mobile application (to be used on your iPhone or similar). The set-up process is a breeze, and the software supports both local and remote sharing to boot. Once your download has completed, run the file, complete the installer and launch the server. Windows users may be prompted to create an exception for Windows Firewall Manage The Windows Firewall Better With Windows 7 Firewall Control Manage The Windows Firewall Better With Windows 7 Firewall Control Read More , so make sure you grant access should you use it. The first screen you will see is a registration form, which you can fill in or opt to ignore by clicking Do not show again. Once you have dismissed the dialogue, take a good look at the server which should already be running under the name of your computer. Information – This screen provides server information, including IP address and server name. Permission – Here is where you can grant access to different user groups, including admin, kids and public. By default, public users are allowed on your server without entering a PIN. Shared Folders – This is where your media is located. Conversion – An offline video converter for converting to mobile-friendly formats for downloading videos in your collection. Web – A fully-fledged web UI for your server (requires activation). Setting – A few options to tweak and change should you wish. The next step is configuring your server. Add shares on the Shares tab by clicking Add Folder, locating and naming your share. Supported audio formats are MP3, AAC, AIFF and WAV and video support is extensive, check out supported codecs here. On the Permission tab leaving everything as it is will grant you read-access to your shares without the need to input a PIN. If you would like to change this, configure your PINs accordingly and dish them out. For this guide, I’ve left public user access as open – as all I want to do is watch and listen, locally. Once downloaded, launch the client and take a look at your options. If you want to stream music locally from a PC on your current network, in your current vicinity then tap Local Server. If all went well the server you configured a few minutes ago will show up, and tapping it should reveal your shares (or prompt you for a PIN first). If this does not happen, choose Specify Address Manualy (sic) and input the information found on your server’s Information tab (server name, IP address, port and PIN). 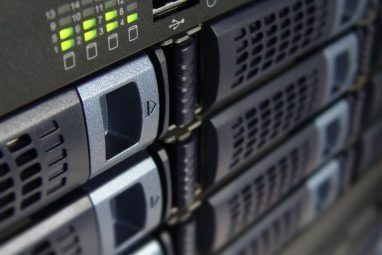 Adding a remote server is an identical task, if the server is on the network you are currently using then it too will be automatically detected (which is handy for future, remote use). A word of warning – if you are going to be streaming via 3G/4G, don’t forget about data costs on both ends; after all your PC has to upload before your mobile can download. 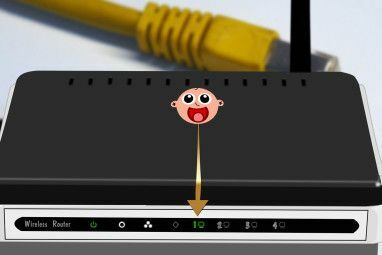 You will need a static IP What Is a Static IP Address, How Do I Get One & Its Advantages/Disadvantages What Is a Static IP Address, How Do I Get One & Its Advantages/Disadvantages In home networks, IP addresses aren't usually fixed, but they do fall within specific ranges. A static IP address doesn't change. What are the advantages to this, and why would you want one? 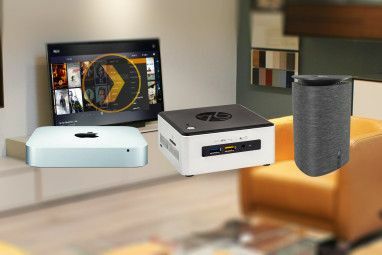 Read More or service like DynDNS Connect To Your Home PCs From Anywhere With DynDNS Connect To Your Home PCs From Anywhere With DynDNS Read More in order to be reachable, and if you are having issues then there’s a few potential solutions on the Air Playit forum. With your server connected, tap it and peruse the shares you have available. I tested out a few high-quality MP3 files, a music video and a 480p (standard definition) episode of South Park via my home wireless network without any hiccups whatsoever. Unfortunately it is not possible to play music in the background whilst doing other things with your iPhone. Finally if you are interested in downloading files to your device over the air, then the video converter is exactly what you are looking for. On the Conversion tab click Add Video Conversion Task, select your source file and a profile and begin converting. Then you can download the video from a share location by selecting it on your device and hitting Download to iPhone. Nifty. The Air Playit server and client combination provide an easy way to stream and download your media either locally or remotely. The fact that both ends of the deal are free, easy to use and reliable gives me little reason to find fault with the Air Playit package. This might be the streaming service you’ve been looking for, and it’s free! Android and Windows Phone 7 users don’t despair, the developers claim there’s a version of Air Playit coming for your device, sometime in the future. Have you use Air Playit? Have you used it remotely? Any alternative free streamers that do a better job? Let us know in the comments. Explore more about: iPod, iPod Touch, Media Server, Online Video, Wi-Fi. I'd also recommend using ArkMS app, which streams all your media from Mac to different devices with no bugs, it's very easy in use and supports a wide range of different formats. I have used this with a Windows 7 Starter laptop and an iPod Touch 4. It doesn't handle playlist properly: the playlist is sorted by filename through the iOS app, which destroys the actual order of songs. Plex and Tonido both do a decent job on Linux, and have mobile counterparts for most devices. Is it any better than StreamToMe for example, because I use it for music streaming from my win7 machine (it does a decent job) and AirVideo for video. I find this graphically pleasing. I'd say try it if you like the look of it, the iPad app looks very nice indeed.